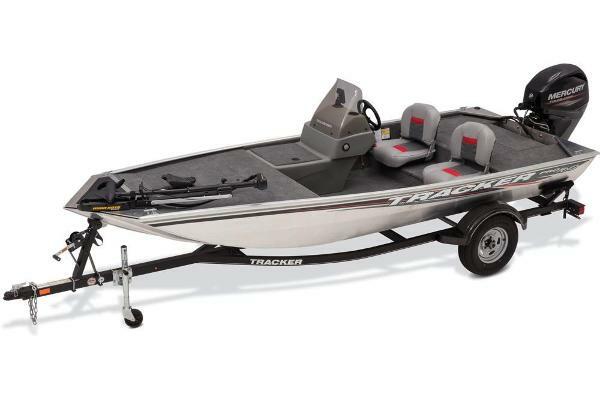 2013 Tracker WT This boat has everything needed for a successful day of fishing. A 16 foot Tracker powered by a 60 hp Mercury 4 stroke. 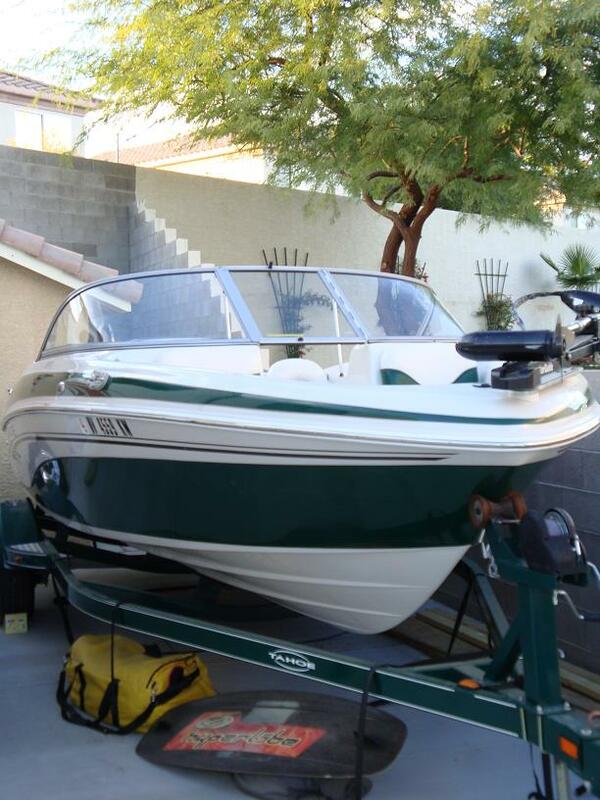 Live well, fish finder, trolling motor and trailer included. 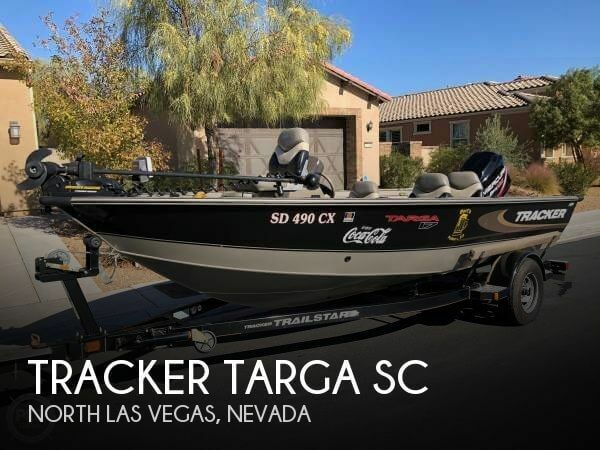 Please stop by the showroom location on Boulder Highway in Las Vegas, NV. 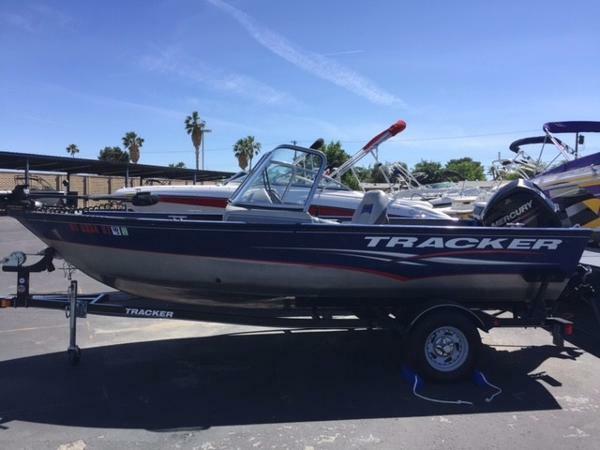 2006 Tracker Tahoe 2006 Q6 Tahoe Ski and Fish w/ Trailer 4.3 Liter, 220 H.P. 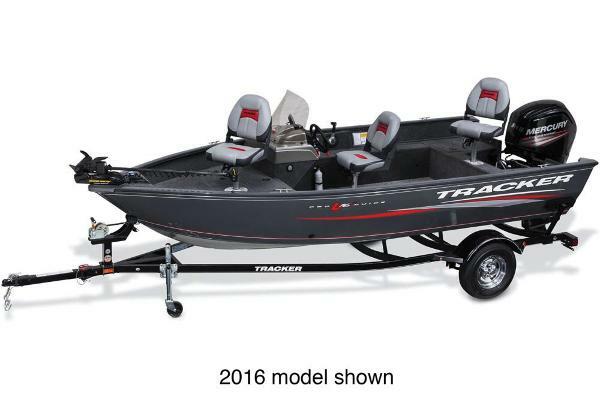 Includes Hummingbird Fish Finder, Motorguide Trolling Motor, Bimini Top Depth Finder, Stereo, 12 Volt Outlet, Optima Battery. 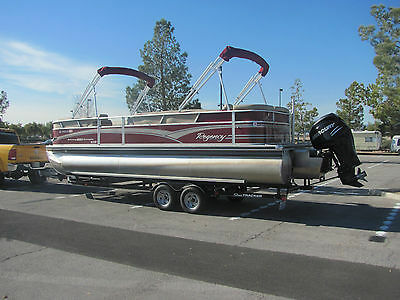 2013 Sun Tracker Regency Party Barge 250 XP3 that has just been fully serviced at Bass Pro Shop and received / passed their 34 point inspection. The only thing they found wrong and that was not repaired is the horn is not working. 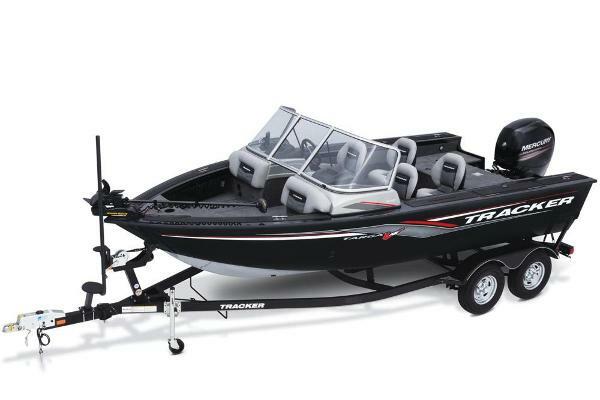 Mercury 200 Verado 4-stroke motor 215 hours with Digital Throttle System and XP3 tri-toon system makes it a joy to drive. Lowrance 5-inch fishfinder/chartplotter, built-in GPS antenna and detailed U.S. mapping. Completely Loaded and the trailer is included. 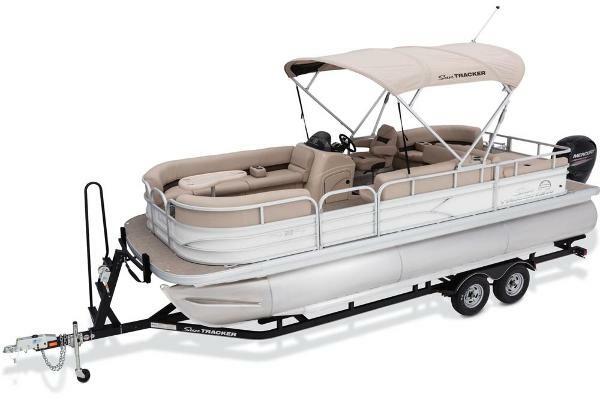 flagship pontoon boat with top-of-the-line speed and elegance. 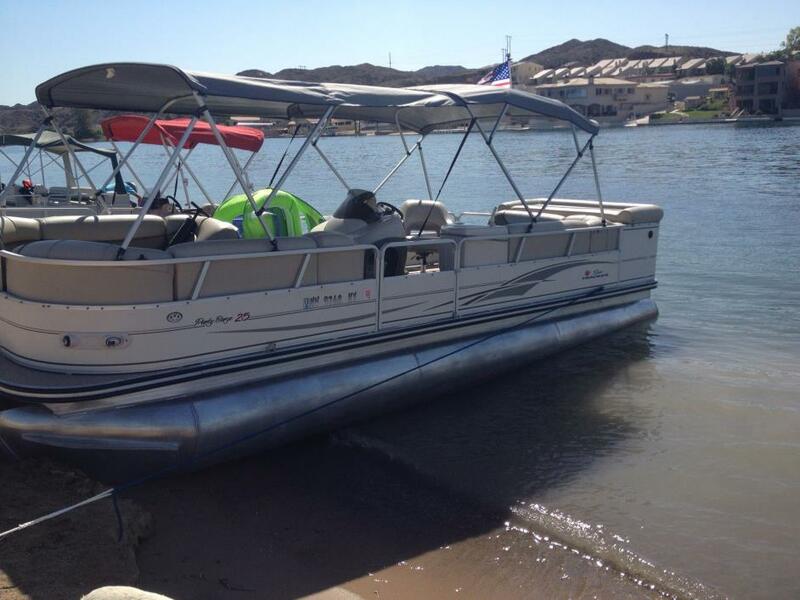 When only the fastest, most spacious and luxurious will do, the PARTY BARGE 250 XP3 is the boat for you. 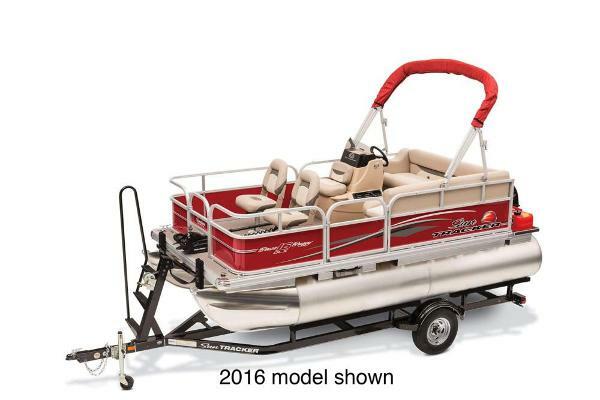 The third pontoon adds extra lift, handling and speed for serious water sports. And it can carry a crew of up to 15 in unmatched comfort - three super-plush lounges, each with pillowtop backs, lumbar support and a headrest. Floor-level drink holders and LED interior lighting. 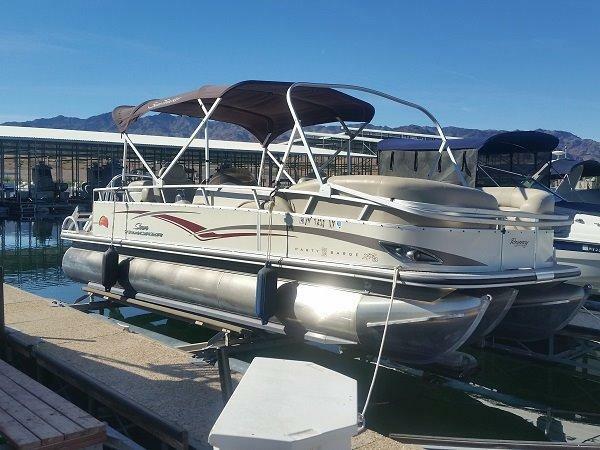 Plus its sundeck, changing room, premium sound system and aft refreshment center with a freshwater sink make long days on the water a pleasure. 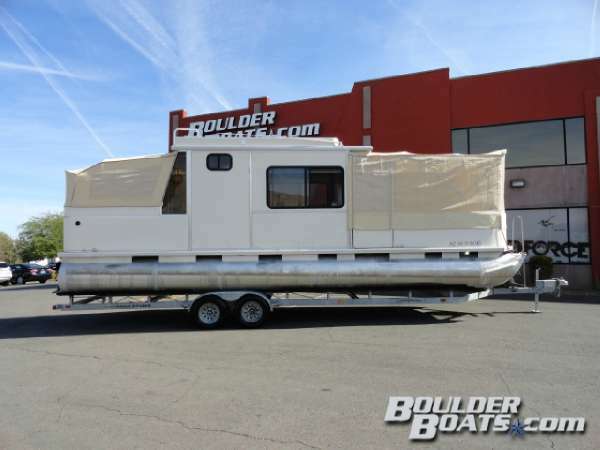 •3 high-performance pontoon logs w/strakes for maximum speed, handling, lift & buoyancy •2 wraparound bow lounges w/lumbar support, headrests, lockable lounge arm storage, underseat storage, trash receptacle, floor-level cabin lights & drink holders •Starboard aft refreshment center w/sink & on-demand fresh water, food-prep area, 2 drink holders & 2 lockable storage drawers •Elevated captain's helm w/hydraulic tilt steering, tinted windscreen, full instruments (incl. 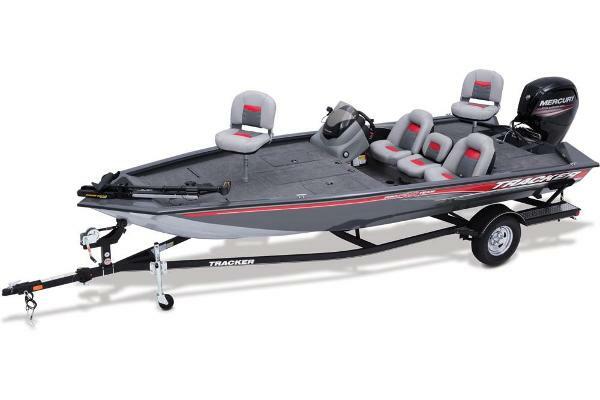 compass & Lowrance® chartplotter w/GPS), reclining oversize swivel helm seat w/self-leveling arms & storage space for cooler (not incl.) •In-console mounted stereo w/convenient dash-mounted remote & 4 strategically located Kicker speakers for optimal sound throughout . 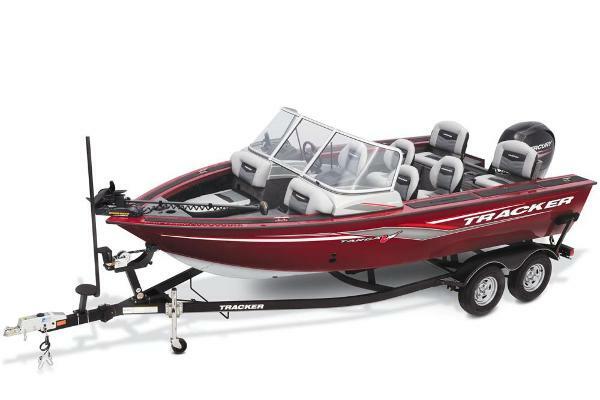 •Removable tournament-style ski tow pylon •Aft padded sundeck w/pop-up changing room, bench & storage •Aft L-lounge w/lockable dry, underseat storage & lockable lounge arm dry storage •Removable serving/game table w/soft-touch non-slip surface & molded-in drink holders (fore & aft pedestal base locations) •Dual Color-keyed polyester Bimini tops.